It had the look of a brilliant, gutty trade. Before the sun was up in New York on July 9, just as the Chinese stock market was rebounding hard from a savage weeks-long selloff, bold bidders emerged with an offer to buy all available American depositary receipts of E-Commerce China Dangdang Inc. (DANG) for $7.81 each – a 20% premium to its prior closing price but less than half its value of four months earlier. 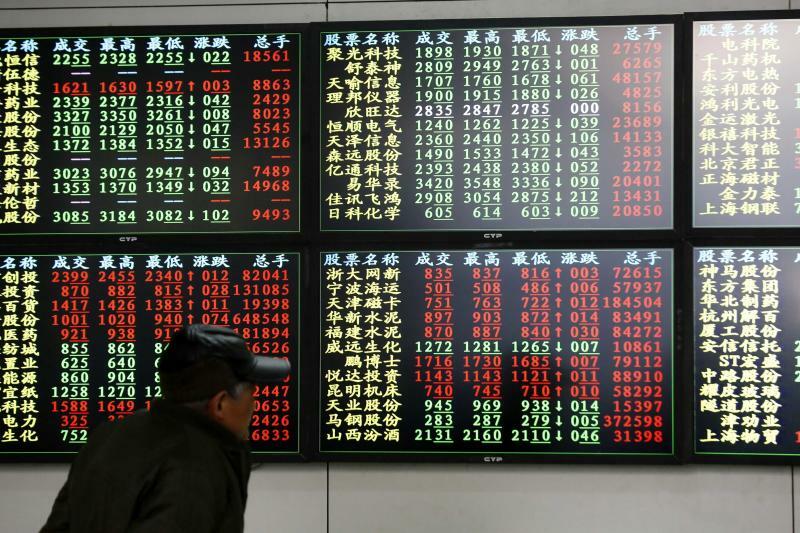 The Shanghai market's scary cascade, begun in mid-June, had washed the stock of Dangdang lower with it - despite the fact that it’s listed on the New York Stock Exchange. By the night of July 8, Dangdang shares had fallen 41% in less than four weeks to a two-year low of $6.51. The following day, the Shanghai market finally reversed higher, surging 7%, as government efforts to prop up stocks took hold. Before the opening bell rang in New York, the bidding group made its buyout offer. Those bidders were the people who run the company, a group that includes Chairwoman Peggy Yu Yu and CEO Guoqing Li, which collectively already own about 36% of the company and control some 83.5% of the shareholder voting power. The offer was a bit too cleverly timed for a group of Dangdang shareholders, who are up in arms over the potential forced sale of their shares at less than the price paid by almost all investors in the stock since early 2013. Kevin Lu says he represents "hundreds" of small shareholders who are outraged by what he says is the unfair treatment they’re receiving from the opportunistic management team of Dangdang, an online retailer in China of books and other media products that came public in the States in late 2010 and now has a $540 million market value. In particular, Lu says the top executives took advantage of the time-zone gap between China and New York. Recognizing that the 6% July 9 rally in the Shanghai Composite and 10% jump in comparable tech stocks would mean that Dangdang shares would surge that day on the NYSE, they slipped in the $7.81-per-share bid to make it appear to represent a substantial premium over the $6.51 prior closing price. Meantime, Lu points out that Li, the CEO, has repeatedly called the stock undervalued over the past year when it traded between $12 and $15, suggesting that the $7.81 offer is an intentionally low-balled bid. He has also said on Chinese television that other companies have expressed an interest in acquiring Dangdang, the investor claims. Lu has put together a Web site to detail shareholders’ complaints and to call for the company to disclose all records related to potential acquisitions and plans for going private from the past year. It’s unclear how much traction these efforts might get. The company says it has put the offer to a special committee of independent board members and has authorized the committee to retain advisors. The Dangdang management buyout attempt is one in a wave of U.S.-listed Chinese companies being taken private. The stupendous rally in mainland China stock values that preceded the past month’s nasty correction had encouraged Chinese corporate leaders to buy up all the U.S. shares with the intention of re-listing in Shanghai or Shenzhen at a higher valuation. According to Bloomberg, at least 29 Chinese companies with shares traded here received offers to be taken private in recent months. And some of the more recent bids have been made at prices substantially below where the stocks traded not long ago. A buyout group led by top executives of Chinese social network YY Inc. (YY) last week offered to acquire the company for $68.50 a share, 25% below its 52-week high of $91.42 set last September. Web search provider Qihoo 360 Technology Co. (QIHU) has an offer on the table for $77 a share, 26% beneath its high of the past year. As it happens, the market is pricing many of these stocks at sizable discounts to the buyout offer prices, likely because the unnerving volatility in the Chinese market has generated significant doubt about the continued attractiveness of executives absorbing the U.S. shares and re-listing on the Mainland. Shares of Dangdang, for instance, now trade around $6.60, some 14% below the $7.81 bid of last week, and not far above where it sat the night before the executives' swooped in with their bid.